Get ready for a night of games from around the world, trivia, and delicious snacks. This is a fun event with games for all ages (children’s games through more challenging strategy games). 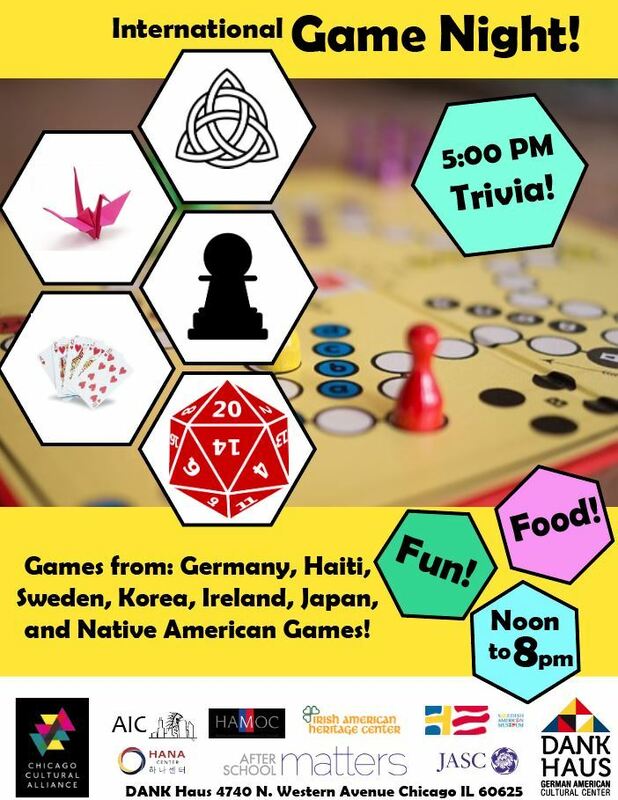 The DANK Haus will collaborate with cultural centers from around Chicago to bring you authentic games from different countries including Germany, Haiti, Sweden, Japan, and Korea. Check our site for updates!